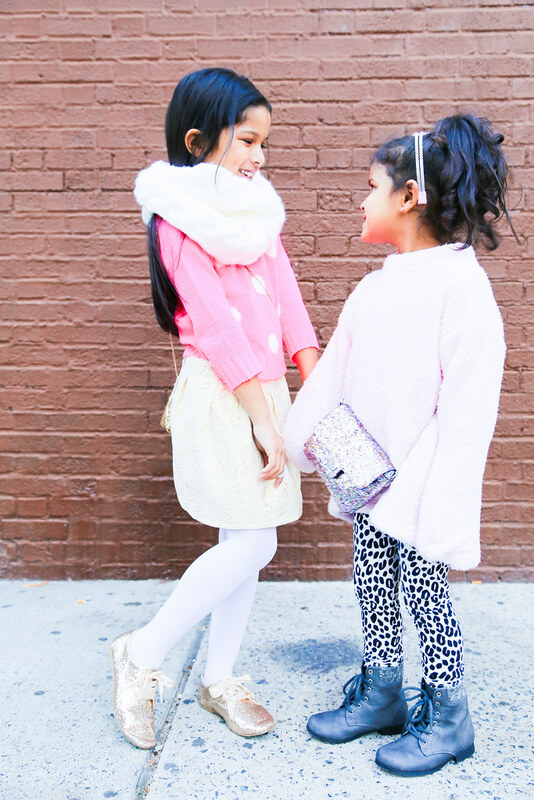 Styling kids is always so much fun for me specially during the Holidays. Glitter is one of my favorite things to buy for Leanne and Zareena. It's fun, girly and it totally screams-out festivities. 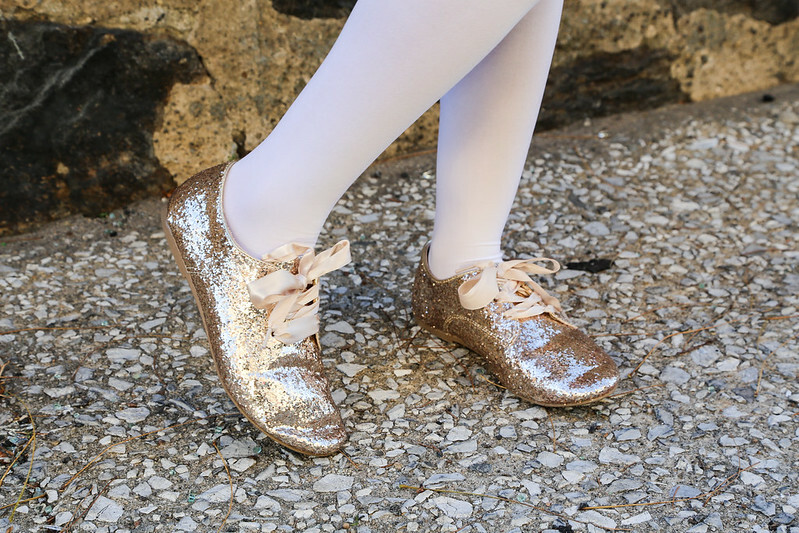 Wearing glitter during the day can sometimes be too much. Yet, you can tone it down by adding a bright chunky knit sweater and stockings. For a night time look, remove the scarf, hat, jacket and sweater and replace with a nice top like this one here or here. Just by changing a few pieces and keeping the skirt, stockings, shoes and bag you can transform this day look into a glitz and glam night look. 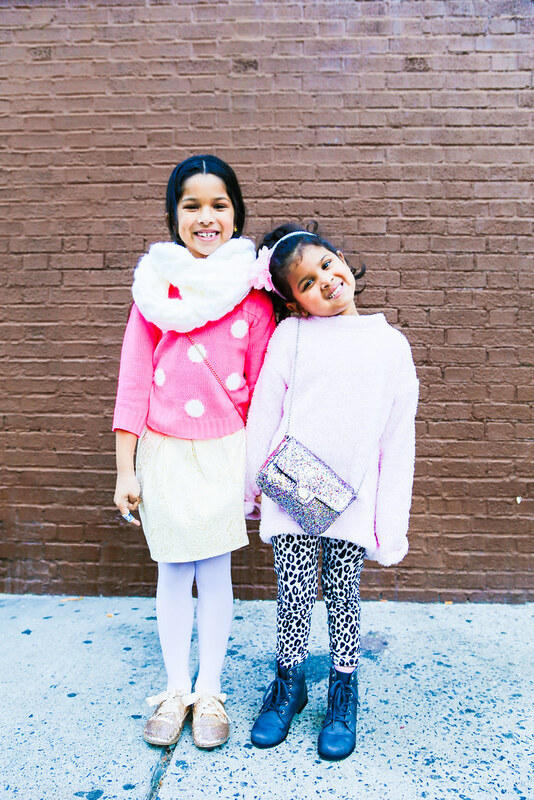 The Children's Place is a stylish, one-stop destination for holiday shopping – the perfect place to find dressy looks, cozy knits and stylish outerwear for babies, toddlers and big kids. As you can see here, Zareena is wearing a scarf/hat which is perfect for the cold days approaching. I love thinking outside the box and going for two-pieces instead of the traditional dress when styling my girls for special occasions. By choosing sparkly pieces you can maintain the fun/party theme while still being able to style the pieces differently every other day. If you're more into dresses for your little ones, find all the new styles from The Children's Place here. You can see all the items I bought in my latest 'Haul Video' here. This post is in collaboration with The Children's Place. As always all opinions are my own. Thank you for supporting the brands and collaborations that make NYTrendyMoms possible! They are both so so gorgeous and stylish! I love their shoes so much, thanks for sharing! Will totally checkout your site.